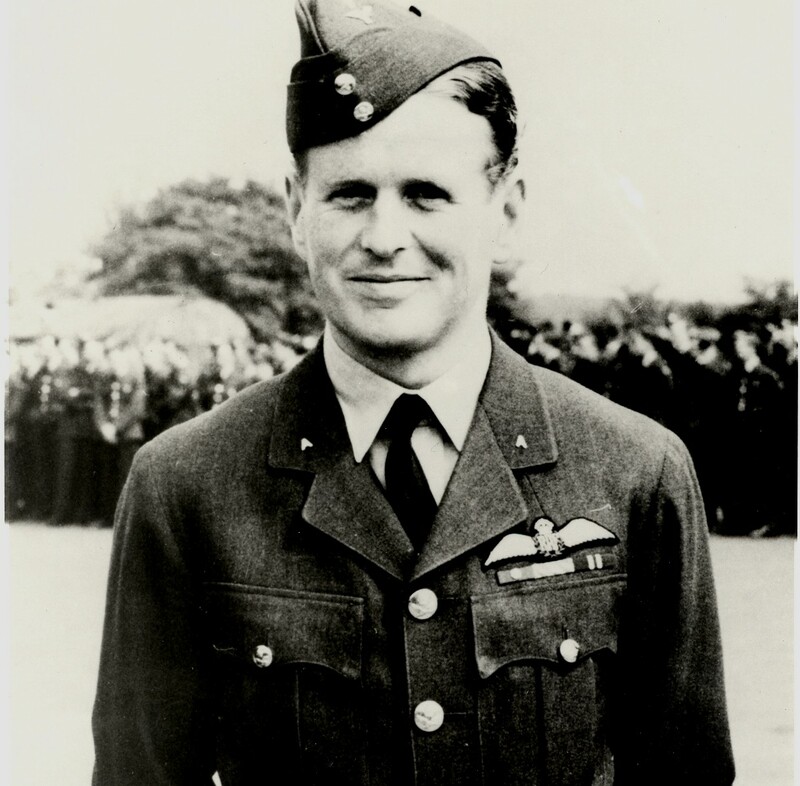 23 March 1912: Wernher Magnus Maximilian Freiherr von Braun, rocket engineer, was born at Wyrzysk, Province of Posen, in the German Empire, in what is now Poland. 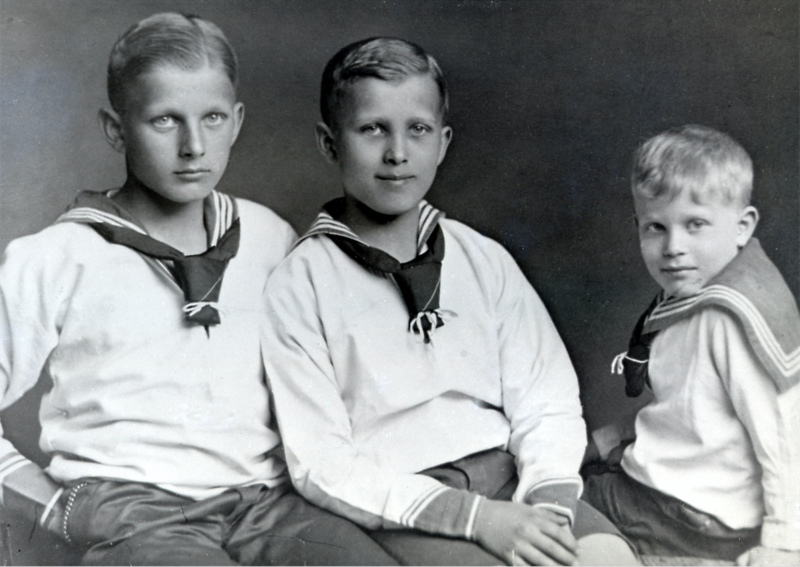 He was the second of three children of Magnus Alexander Maximillian von Braun, head of the Posen provincial government, and Emmy Melitta Cécile von Quistorp. 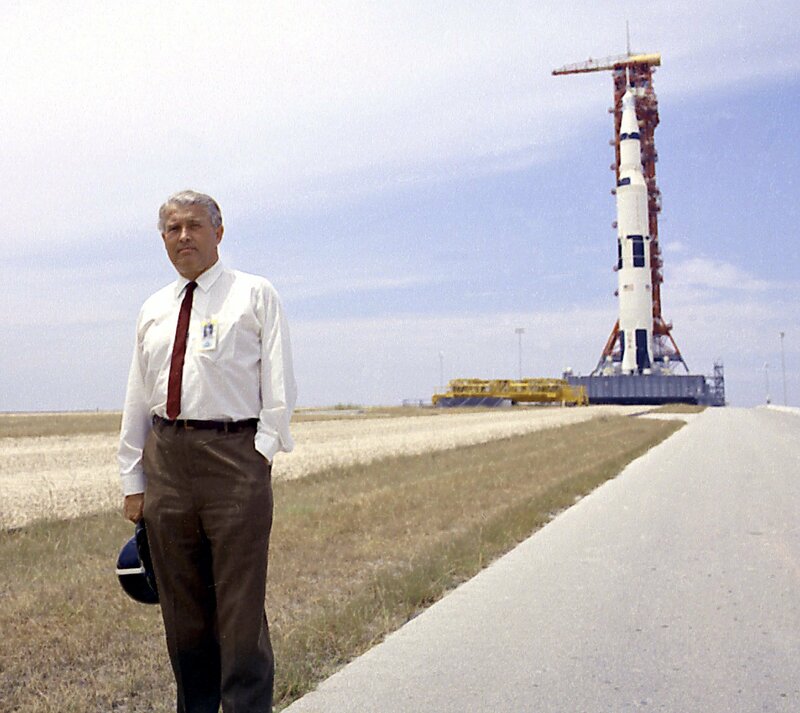 Wernher von Braun originally wanted to be a musician and composer, having learned to play the cello and piano at an early age. 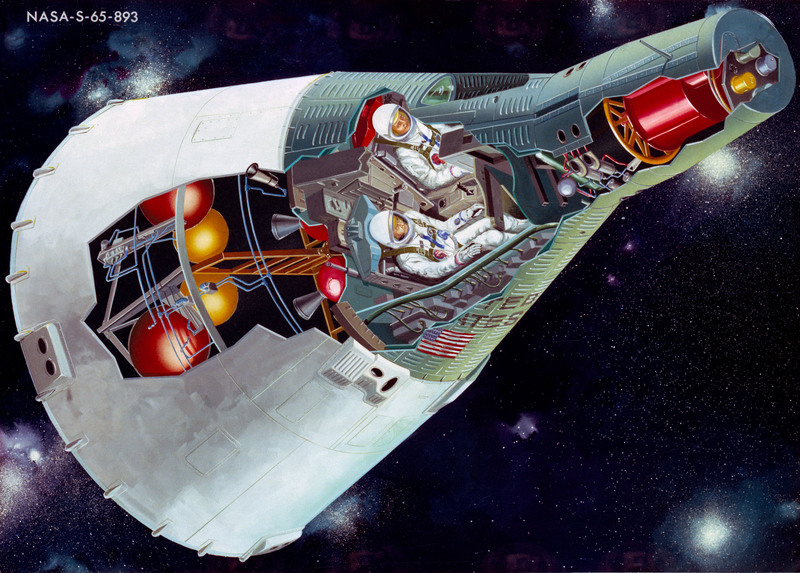 After reading a speculative book on space flight, though, his interests shifted. 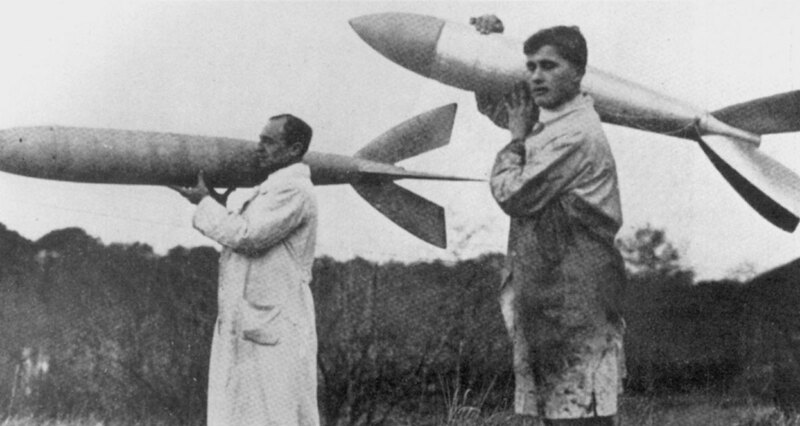 In 1929, the 17-year-old von Braun joined Verein für Raumschiffahrt, the German rocketry association. 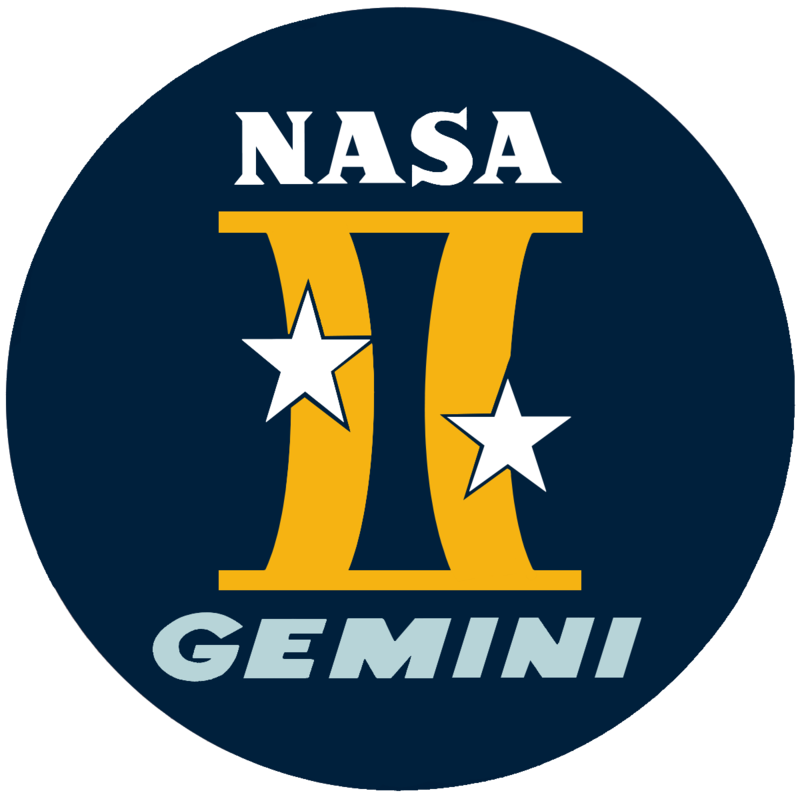 He worked with Hermann Oberth in testing liquid-fueled rockets, based on successful rockets designed by Dr. Robert H. Goddard in the United States. 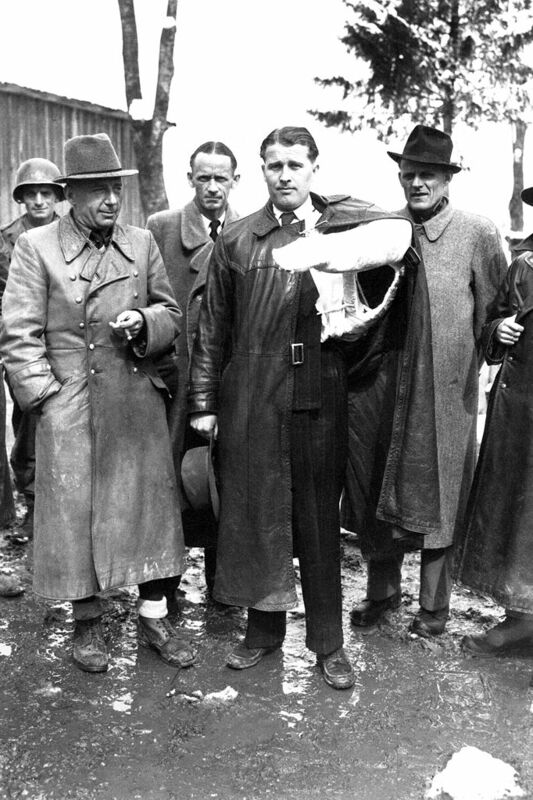 Von Braun graduated from Technische Hochschule Berlin in 1932, with a degree in mechanical engineering (Diplom-Ingenieur). Two years later, he received a doctorate in physics (Dr. 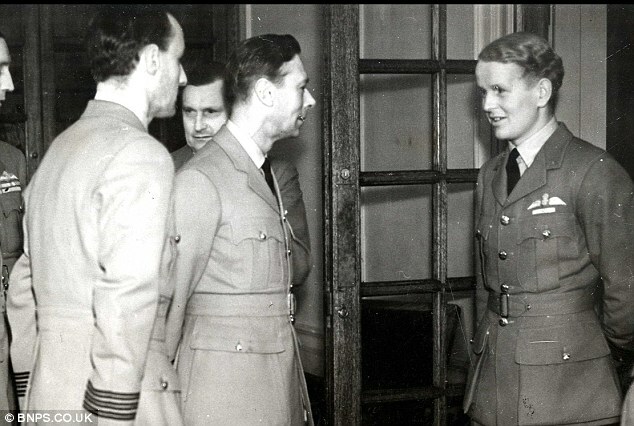 phil.) 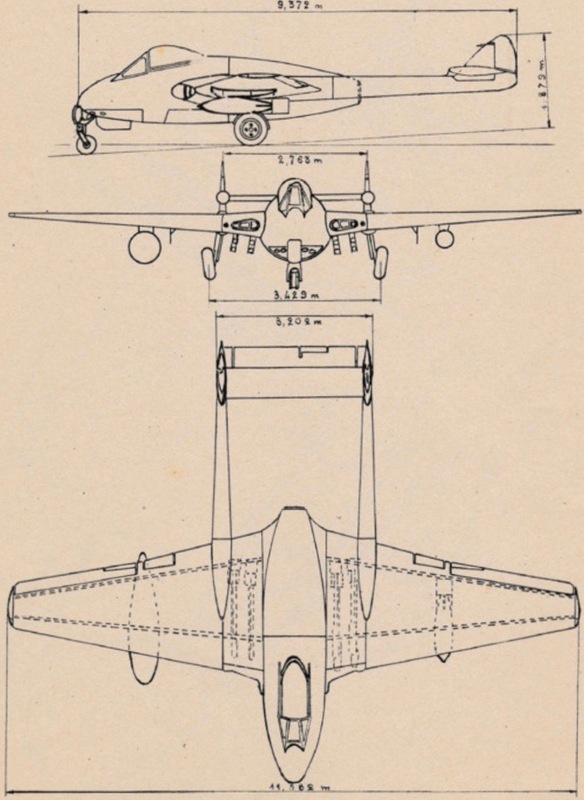 at Friederich-Wilhelm University of Berlin. 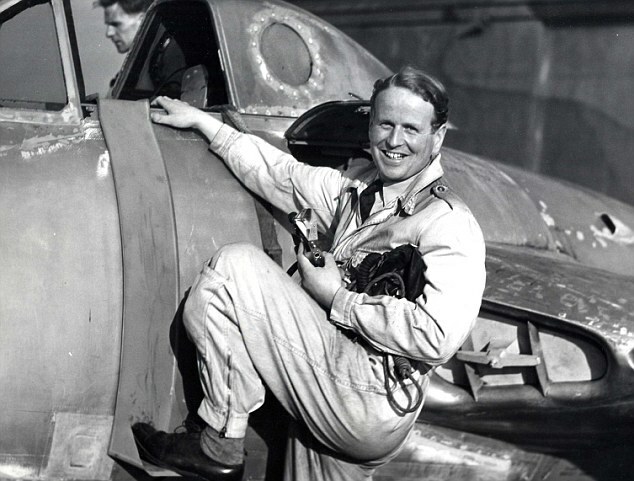 He also studied at ETH Zürich. 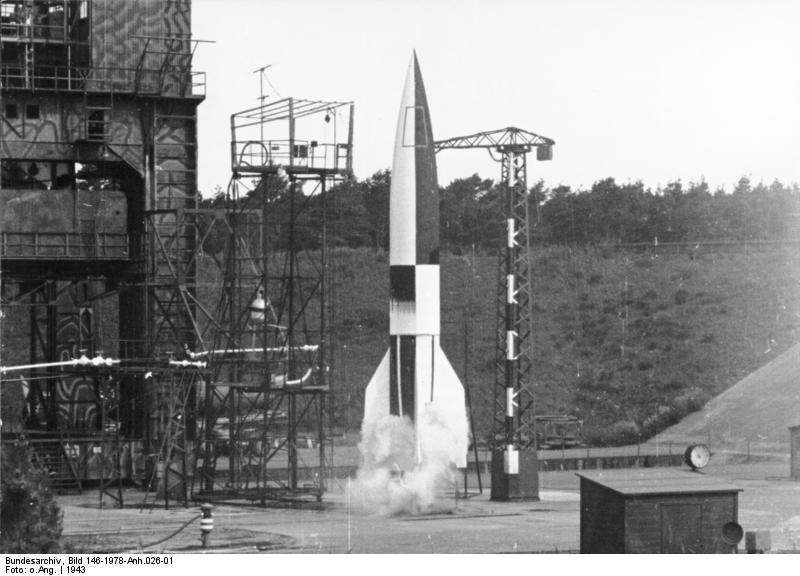 As rocketry work expanded, the tests were eventually moved to the Peenemünde Military Test Site on the island of Usedom on the Baltic coast, where von Braun was technical director under Colonel Dr. Ing. 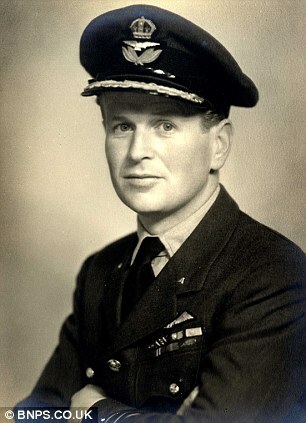 Walter R. Dornberger. 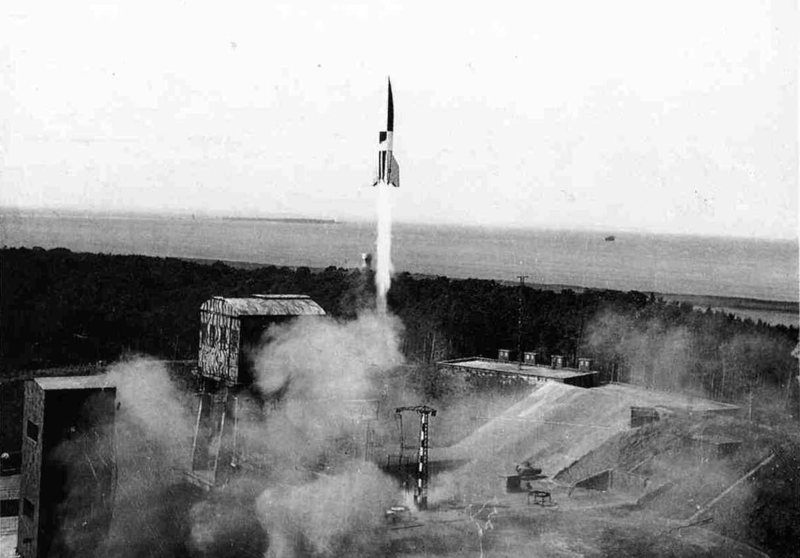 The first successful launch of the A4 took place 3 October 1942. 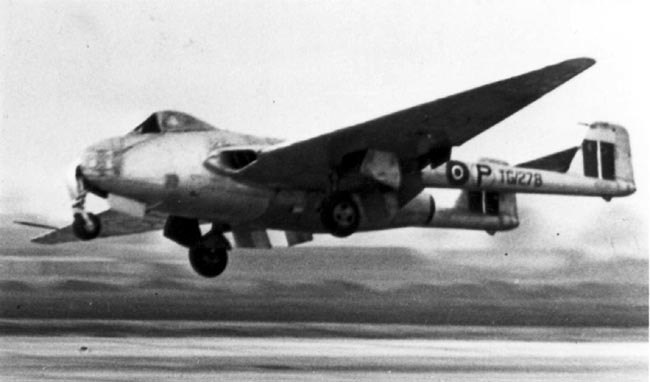 By the end of World War II, Nazi Germany had launched more than 3,200 V-2 rockets against Belgium, England, France and The Netherlands. 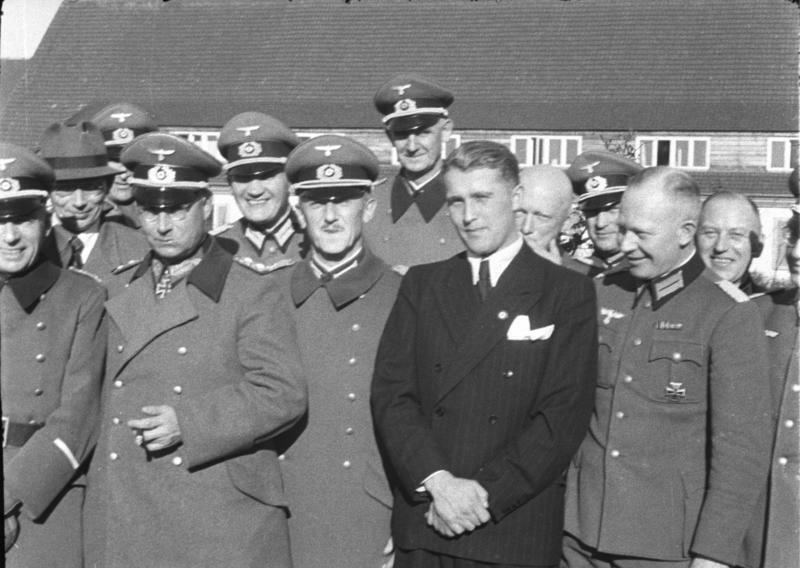 As World War II in Europe came to a close and the collapse of Nazi Germany was imminent, von Braun had to choose between being captured by the Soviet Red Army or by the Allies. He surrendered to the 324th Infantry Regiment, 44th Infantry Division, United States Army in the Bavarian Alps, 2 May 1945. 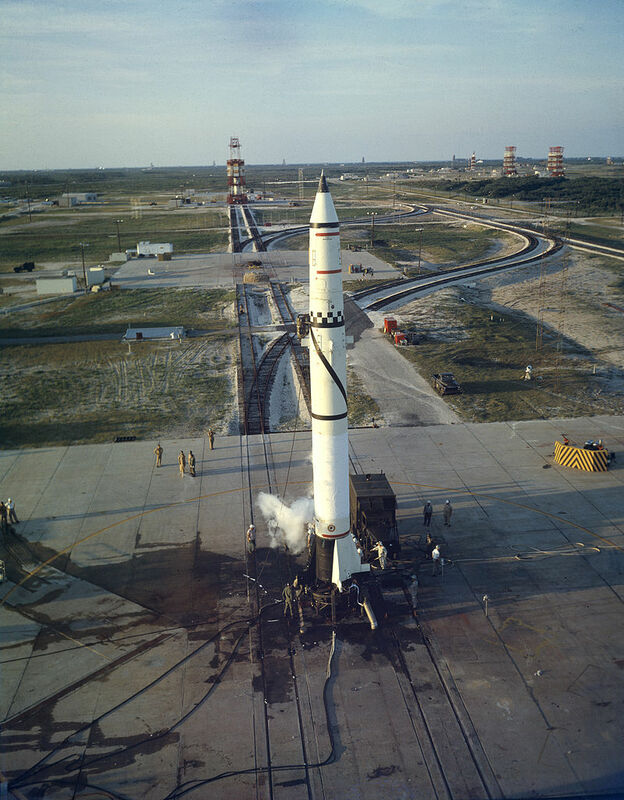 Under Operation Paperclip, Wernher von Braun and many other scientists, engineers and technicians were brought to the United States to work with the U.S. Army’s ballistic missile program at Fort Bliss, Texas, White Sands Proving Grounds, New Mexico, and the Redstone Arsenal, Huntsville, Alabama. 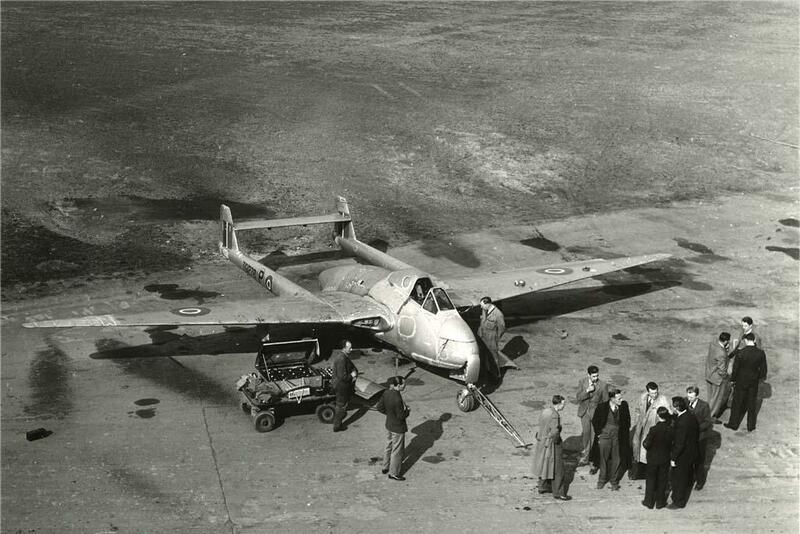 Sufficient parts and materiel and been transferred from Germany to construct more than one hundred V-2 rockets for testing at White Sands. 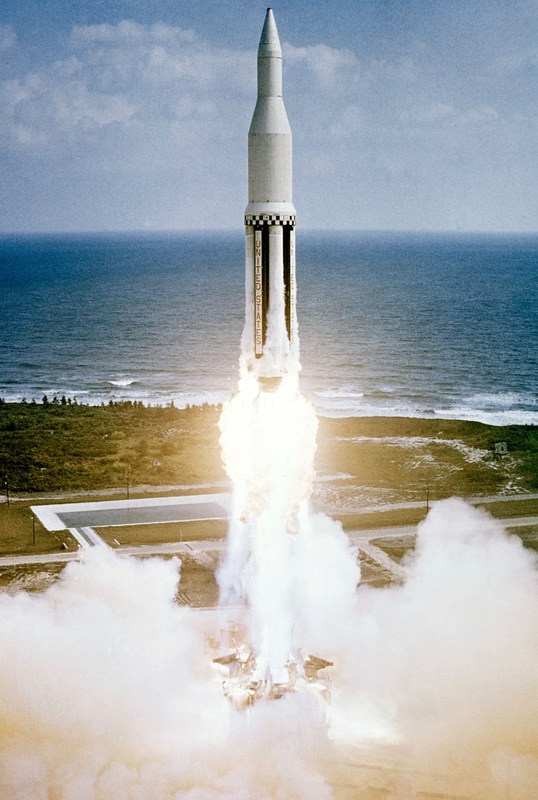 Over a five year period, there were 67 successful launches, but it is considered that as much knowledge was gained from failures as successes. 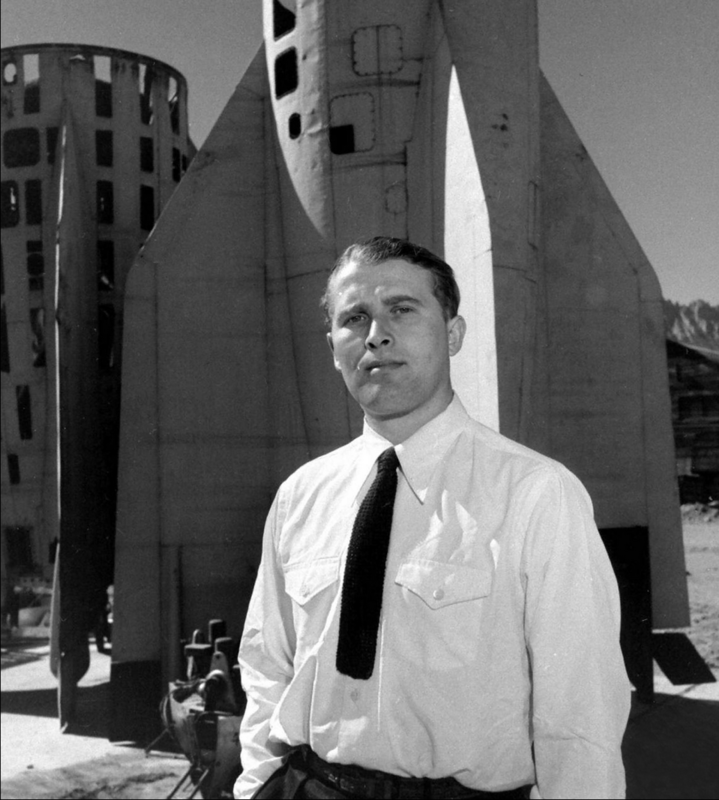 In 1950, von Braun and his team were sent to Redstone Arsenal, Huntsville, Alabama, where they worked on more advanced rockets. 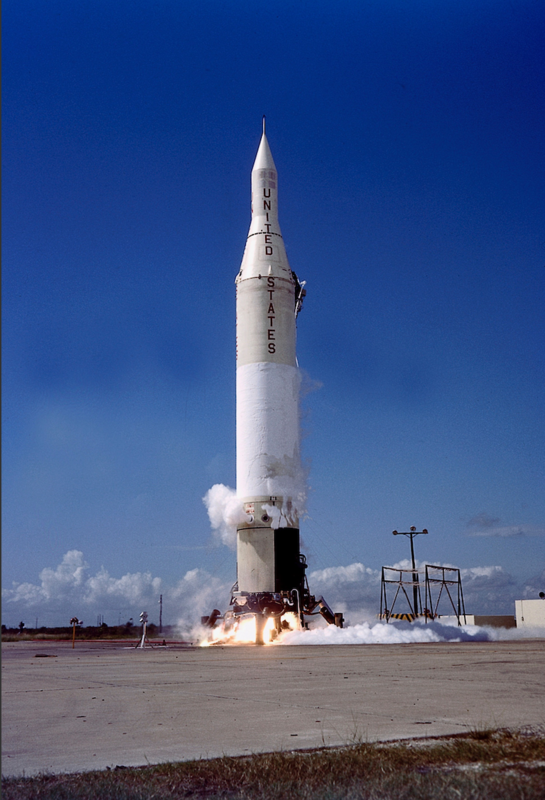 The first production rocket was the short-range ballistic missile, the SSM-A-14 Redstone, which was later designated PGM-11. 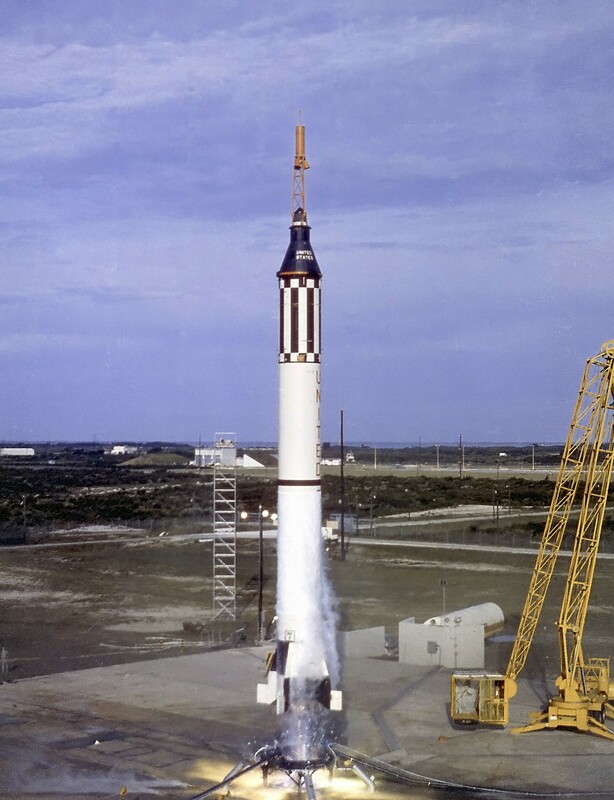 This rocket was capable of carrying a 3.8 megaton W39 warhead approximately 200 miles (322 kilometers) The first Redstone was launched at Cape Canaveral Air Force Station, 20 August 1953. 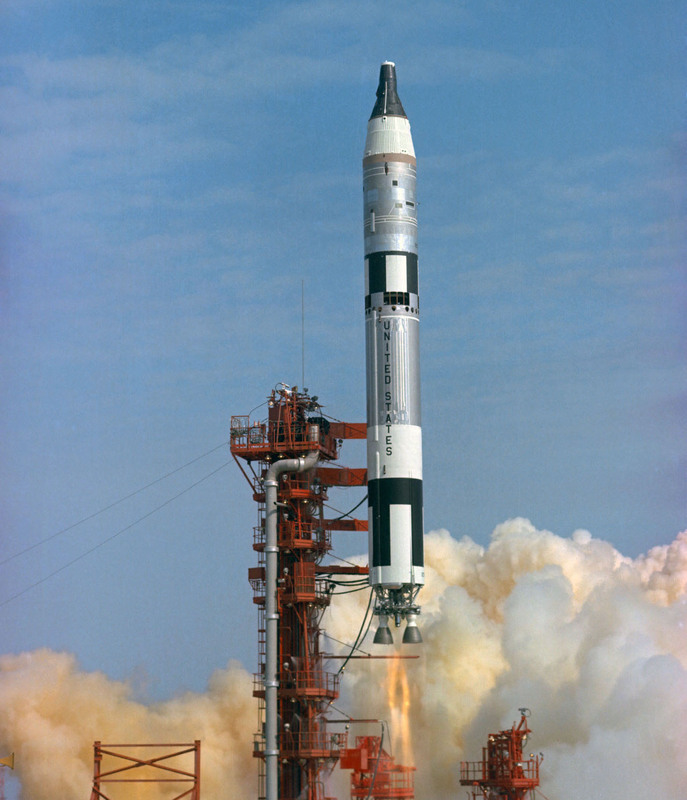 Modified Redstone MRLV rockets were used to launch the first Mercury spacecraft with NASA astronauts Alan Shepherd and Gus Grissom. 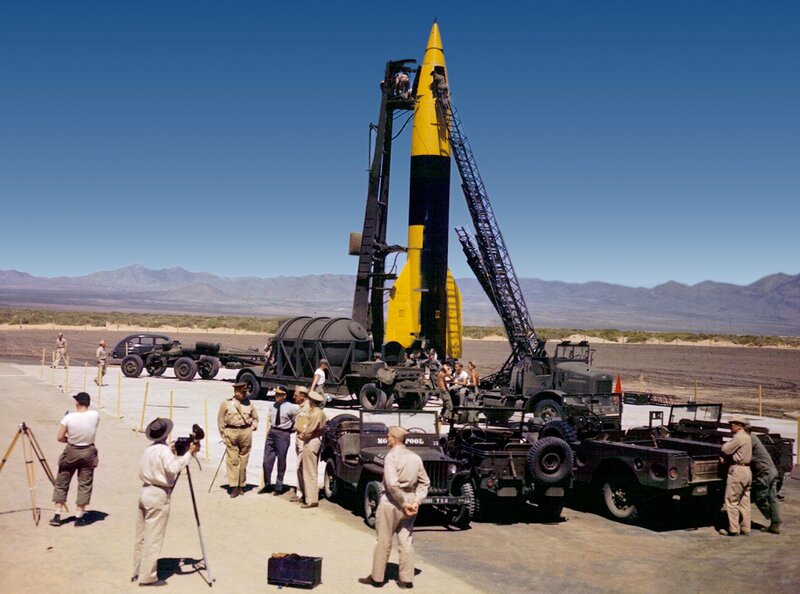 Von Braun later worked on the U.S. Army’s Jupiter-A intermediate range ballistic missile. 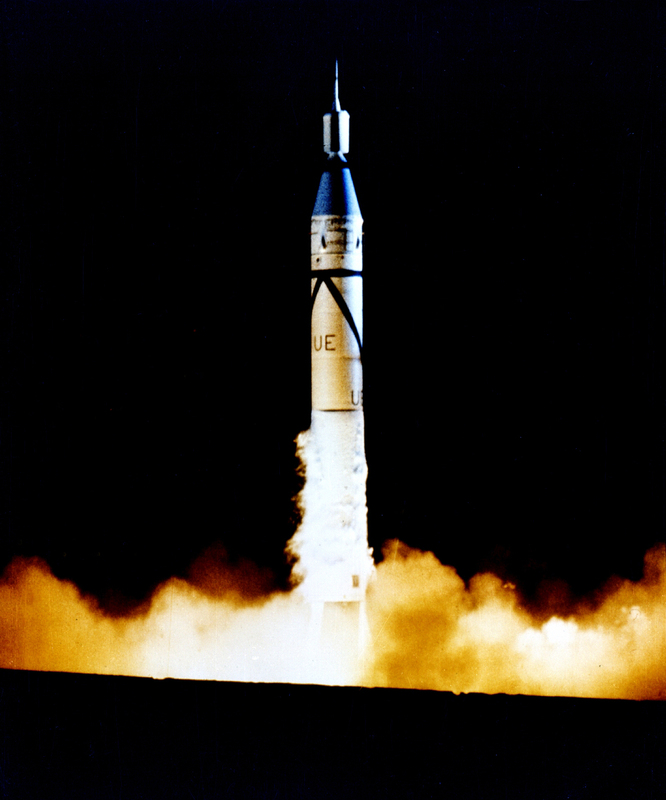 A modified Jupiter-C was used to launch Explorer 1, the United States’ first satellite. 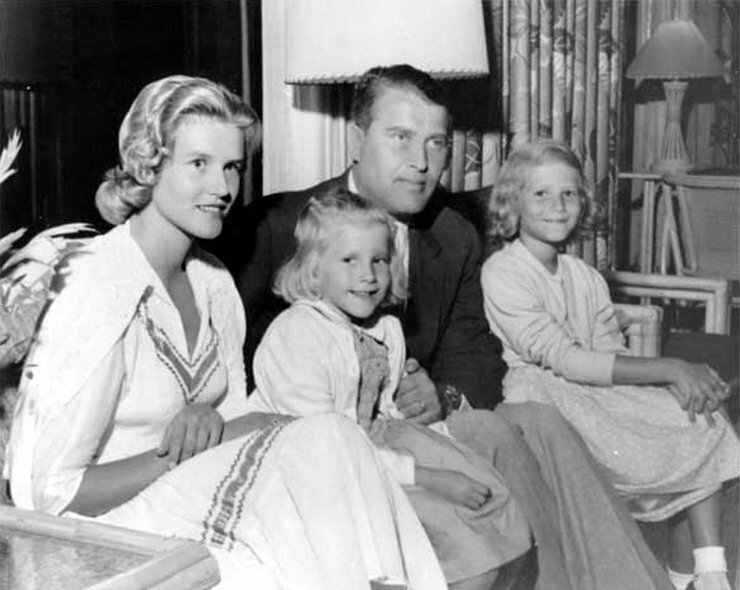 Wernher von Braun traveled to Germany in 1947 to marry his cousin, Maria Irmengard Emmy Luise Gisela von Quistorp, and then returned to the United States. 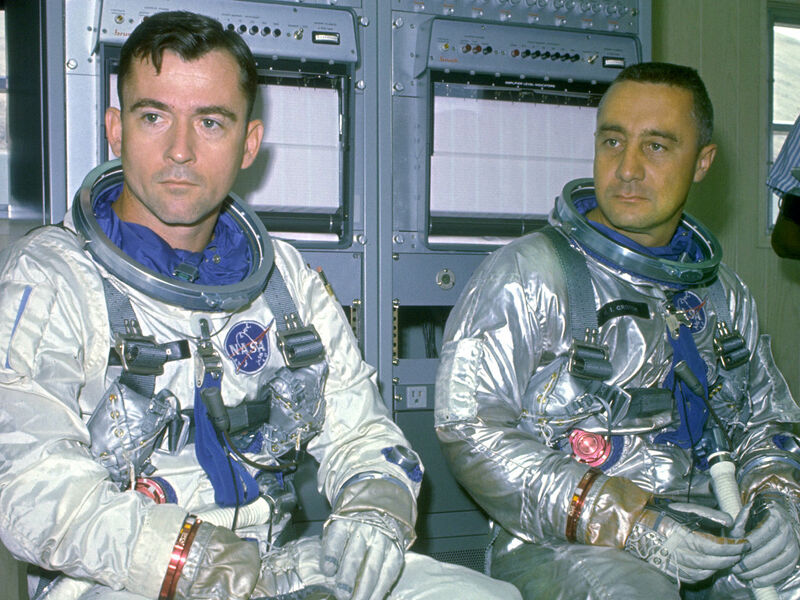 He became a naturalized citizen of the United States of America in 1955. 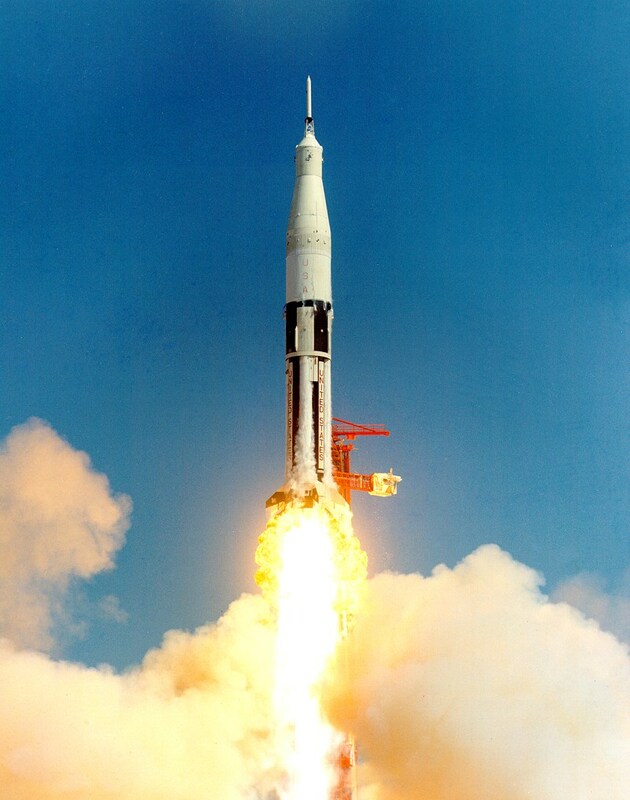 In 1960 von Braun and his team were transferred from the Army Ballistic Missile Agency to NASA’s new Marshall Space Flight Center at Redstone Arsenal. 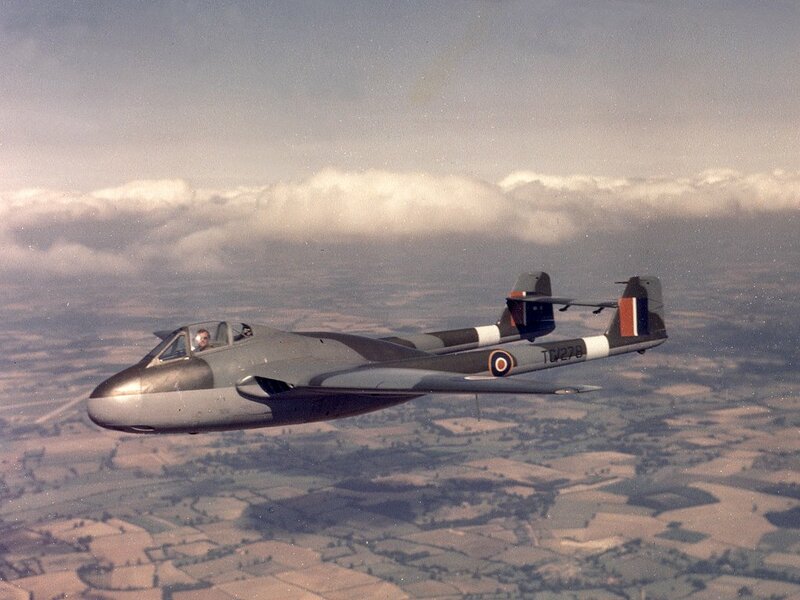 He was now able to pursue his original interest, manned flight into space. 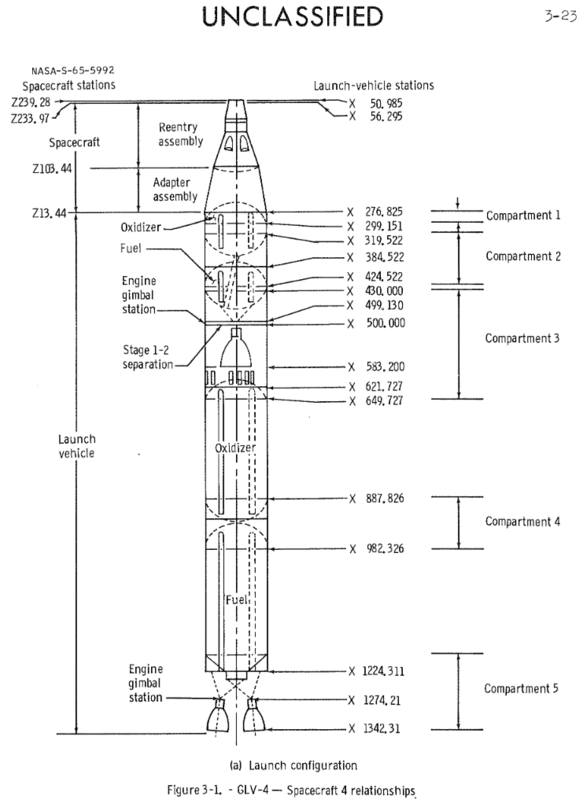 Work proceeded on the Saturn rocket series, which were intended to lift heavy payloads into Earth orbit. 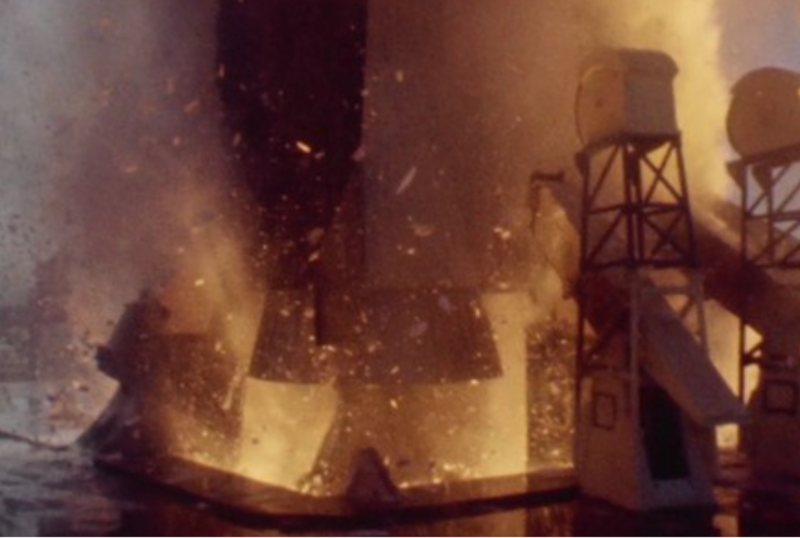 This resulted in the Saturn A, Saturn B and the Saturn C series, ultimately becoming the Saturn V moon rocket. 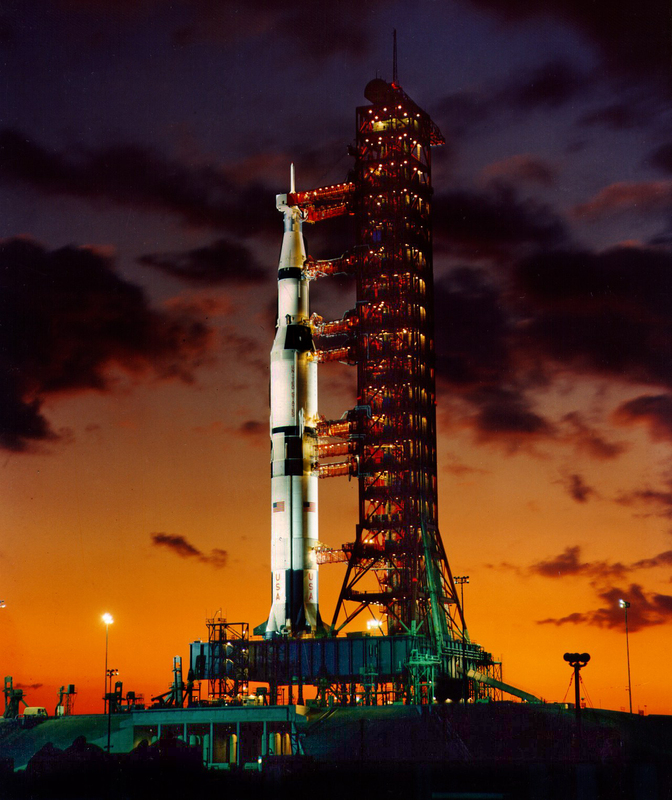 With the Apollo Program coming to an end, Dr. von Braun left NASA in 1972. 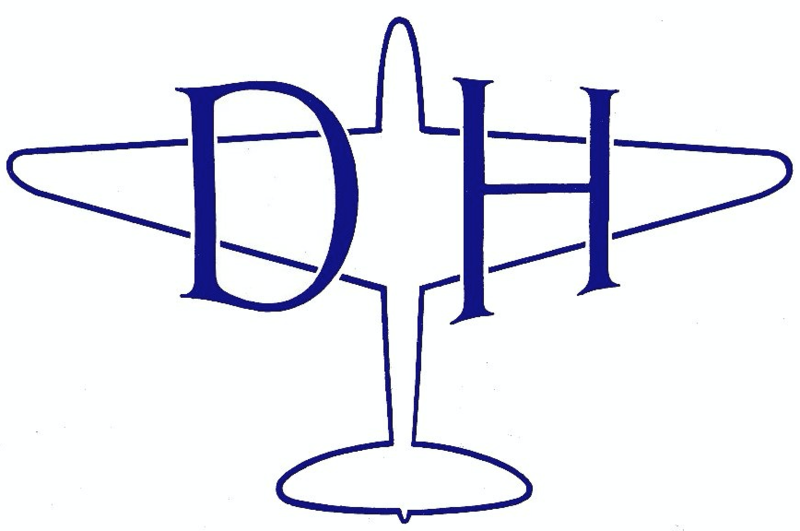 A year later, he was diagnosed with kidney cancer. 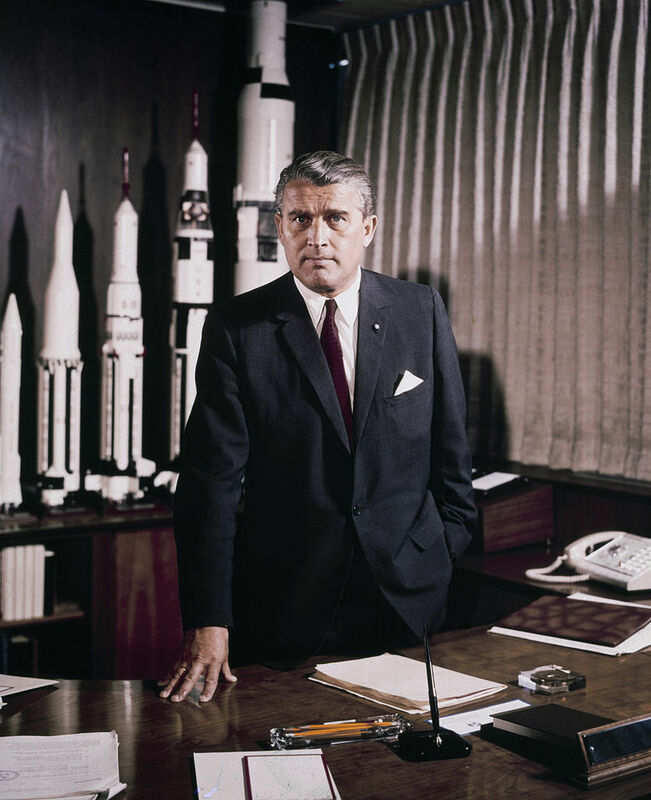 Wernher von Braun died of pancreatic cancer, 17 June 1977 at the age of 65 years.